How to Incorporate Customer Feedback in the Development Process! Integrating customer knowledge in the research and development phase is a way of refining products both before and after launch. The information collected on various channels can be easily filtered and integrated into R&D. Thus, the customer transcends the buyer role and is actually transformed into a focus group member who could come up with the next breakthrough. Being responsive to customer feedback also brings companies closer to their target audience. 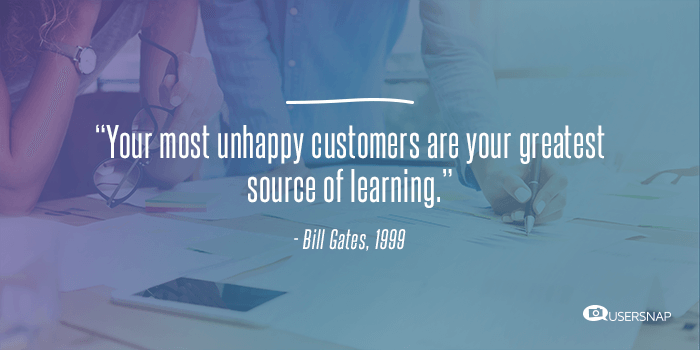 A few of the possible consequence of this fact are customer retention, stronger brand loyalty, and better engagement. Considering how difficult and costly it is nowadays to retain buyers, these benefits are not to be neglected. In turn, customers become participants in the R&D process. As a consequence, the resulting product or service matches their needs more closely. If until now product manufacturers and service providers could have a unilateral vision, today’s highly-competitive market no longer allows that. LEGO Ideas is quite possibly one of the best examples of how customer insight can be used for development. On this mini-site, enthusiasts can easily submit their own designs. The projects gathering more than 10,000 votes from the community undergo LEGO review and are turned into new sets if the review is favorable. As the world’s largest mail and logistics services provider, DHL has to innovate permanently, in order to stay ahead. Workshops taking place both in Germany and Singapore are among the paths taken. Among the numerous inventions that came out this way is the Parcelcopter, a delivery drone that performs loading and unloading cycles automatically. Soon after integrating this solution into the delivery chain, CSAT (customer satisfaction) scores exceeded 80%, while the on-time delivery performance reached 97% or more across the globe. It’s also possible to disrupt an old, established industry through co-creation. Phononic has done so with cooling and heating equipment by introducing thermoelectric semiconductor tech into its products. Dr. Tony Atti, the company’s founder & CEO, is convinced that “companies should understand their customers’ desired experience and use that knowledge to work backward to define company processes and culture. […] Co-creation is about helping the customer imagine a different future.” Many of Phononic’s products were created by taking customer feedback into account, and the benefits are reflected on home-users, but also in the pharmaceutical and medical research industries. There are many ways to gather customer feedback in order to turn users into an essential part of the product development process. Voice of the Customer is an in-depth process of collecting data about the users’ expectations, preferences, and aversions. Recently, it has gained so much traction that companies such as the ones mentioned above do customer-led development. Gathering the data from the customers can be done in several different ways. Companies should opt for one over another depending on their resources and the type of product that they are offering. Product feedback forms or surveys represent a quick way of gathering user feedback. Ideally, these allow customers to provide open-end answers. Depending on the format, companies could go for paid customer survey tools such as SurveyMonkey or take the free route and opt for Typeform. Customer reviews are often dispersed across a variety of channels and platforms. That shouldn’t discourage businesses from looking for them. Companies should identify where reviews are posted and extract the ideas that could lead to innovation. Possible starting points for B2C companies include TrustPilot, TestFreaks, and Amazon. On the other hand, B2B companies can look for customer reviews on Salesforce AppExchange, G2 Crowd, and TrustRadius. Reviews offer a comprehensive idea about how users perceive the product, especially if they’ve used it for a longer period of time. Amazon is a great example of how some customer reviews model others’ purchasing behavior. Paying attention to the feedback received by competitors on their products can also influence a brand’s innovation. One thing to keep in mind is that the goal is to gather objective feedback, which may not always be positive. Interactive workshops, such as the ones conducted by DHL, promote the generation of potentially disruptive ideas. Workshops have the added benefit of helping brands establish themselves as thought leaders. Social media is a readily-available means of providing feedback. Not only can different social networks be used around the clock, but since the profiles are under the direct control of companies, feedback is acknowledged immediately. 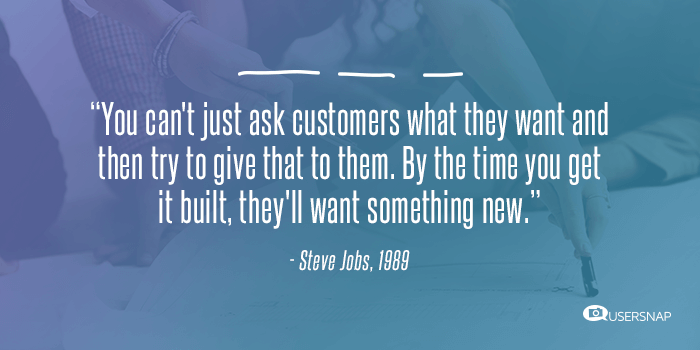 Not only that, but brands can also respond to feedback in a timely fashion. This is yet another case where Google Alerts or mention.com can help identify all the websites where the product is mentioned. Usability testing comes into play when there’s already a well-shaped product that could use a few final touches. This practice typically takes place shortly before launching the product onto the market. Despite being one of the most expensive ways of collecting customer feedback, it can prevent the launch of unusable or unwanted products. A mix of the above methods will ensure a complete approach to getting the right feedback from people who are adequate for doing that. Are there any Downsides to Customer-Driven Development? Customers who only care about a single company and its products might neglect the competitors’ products. Their feedback doesn’t help the company on top. This usually happens when product developers want to integrate all of the feedback they receive, despite some of it being inappropriate. Secondly, democratizing innovation might slow down the process. Gathering feedback is already a time-consuming task, and the more customers are involved, the longer it will take. Since time to market is essential to maintain relevancy, brands need to find a balance between getting adequate feedback and launching on time. Steve Jobs’ conviction that people don’t always know what they want could also be regarded as a downside. This is particularly difficult when launching a revolutionary product, as people wouldn’t see a need for a new product if there’s no problem they could refer to. An additional reason to take this approach is that implementing feedback takes time, which in turn takes a toll on innovation and relevancy. As communication technology evolved, the number of ways to collect feedback increased, and so did the speed of the entire process. In time, mobile devices will be adopted by more and more people, which in turn will lead to the development of more advanced analytical tools for collecting customer information. To create closer relationships with their customers, companies often have to focus on customizing their products. In this context, customer co-creation will surely play an essential role in innovation. If personalization can be done at a market level, global customer-led R&D could lead to a product that fits the needs and taste of customers from specific areas. Eventually, it all comes down to the customers’ taste. If users notice that their feedback flies by the company’s ears, they won’t delay looking for alternatives. If that article was helpful to you and your company, feel free to give Usersnap Feedback a free try. We offer free trials and demos. Simply contact us and we’ll make sure that your enterprise stays one step ahead of your competition. 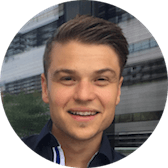 Talk to our customer feedback expert Andreas Neuhauser for a free demo of Usersnap Feedback.